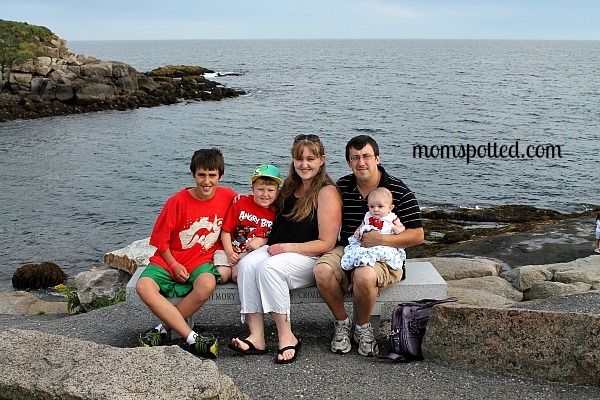 We love visiting Maine every year. We stay in Wells which is central to a lot of the cute little towns. 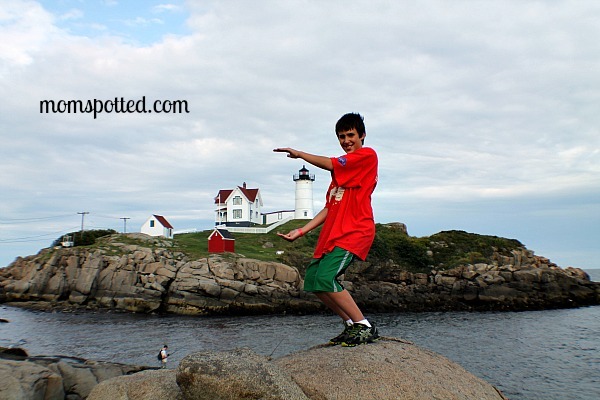 One thing we love to visit is Nubble Light House. We went there to get a family photo. Of course the hardest part is finding someone you feel okay giving your super expensive camera too. I took some time and played with some of my lenses. This is the new fisheye I just bought. It’s kinda cool. The boys of course just loved climbing all the rocks. Johnny wanted to “hold” the light house. Of course what one brother does…. the other wants to try too. Then we spent some time just climbing the rocks and seeing what we could find in the pools of water. Mostly crabs and hermit crabs. and, yes, that is a house. Those came out so great!!!! I just love them! That looks like a lot of fun! I’ve never been to see a lighthouse. They just are not anywhere near Nebraska. Such a fun experience. So pretty! Looks like such a fun time! what a great family photo, that’s a framer! And I love your new lens, too! I LOVE that family photo!!! I wouldn’t want to live in a house that gigantic – could you imagine cleaning it?! Fun! That’s a nice house! Whoever lives in that absolutely GORGEOUS house must be living the good life! I’ve heard Maine is extremely beautiful and all your pictures definitely prove that 🙂 I’m glad you guys were able to go on your family trip! Great pictures. Looks like a really fun time. Love the two of the boys holding the light house. Beautiful pictures! 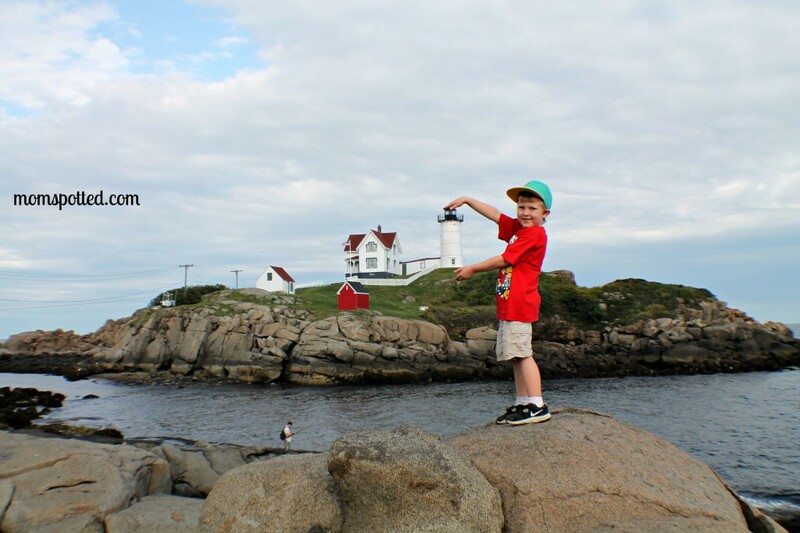 I love the ones of the kids “holding” the lighthouses! I’ve always wanted to visit Maine. It’s on my bucket list. Those are some awesome shots! 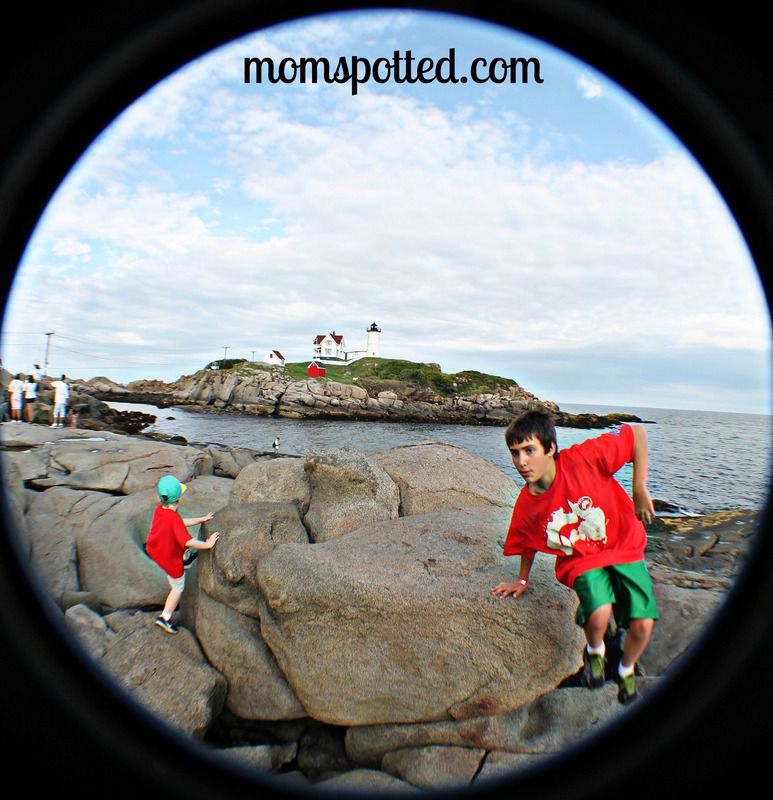 I especially loved the ones where the boys were “holding” the lighthouse! Great pics! Thanks for sharing & love the new lens! LOL The kids holding the lighthouse was an awesome idea. We LIVE in Maine and have never actually “done” the lighthouse thang. Maybe we should do a tour of them all next summer! hmmmm. Great pics. Happy WW! So pretty! 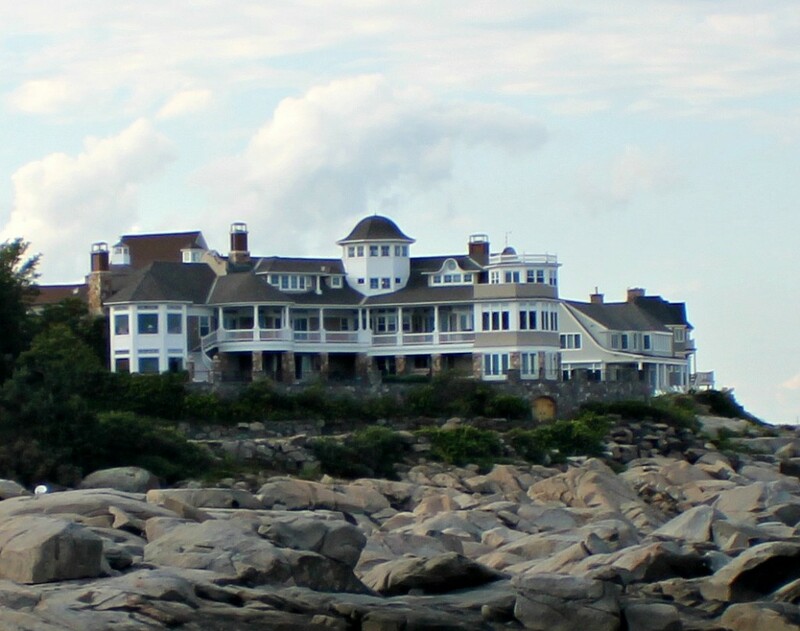 Even though I live in NH, I’ve never been to York, Maine. How crazy is that?! One of these days we need to change that. 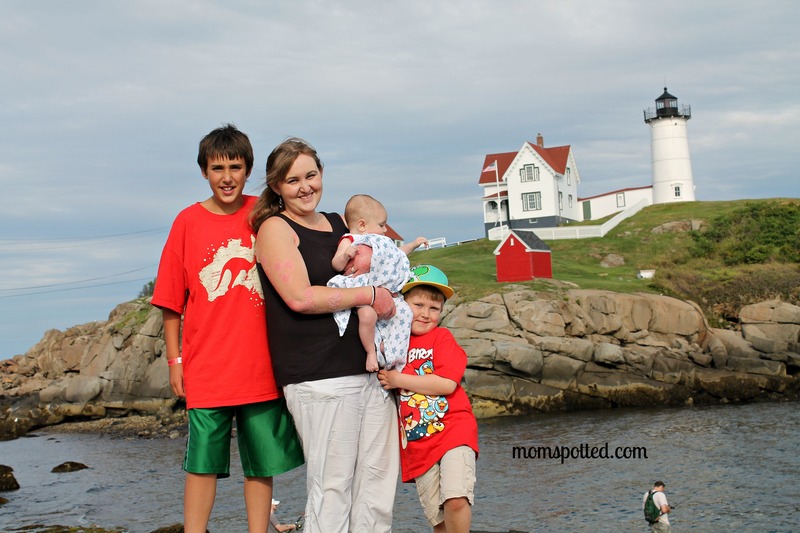 I love the lighthouse and I love your family photos! Beautiful photos and I love the family shot! Sometimes it is hard to get a family photo. Happy Wednesday! Gorgeous photos! I love the fish eye one, so neat! Absolutely beautiful! Love the family pic!! HOLY HUGE HOUSE! Also, I’ve always wanted to visit Maine and your pics just confirmed it for me. Beautiful!!! What great shots, both of the scenery and your family! I love the photo through the fisheye lens. That looks like a fun trip! That house is beautiful, and your photos are lovely, that looks like a fun trip. My husband has family close to there. I can not wait to go there now! Those are some really neat pictures. I wish I lived near a lighthouse. Looks like you had a great time! I’ve always wanted to go to New England! Gorgeous setting for some great pictures! Love how the red in the first few really pop. Great photos! I’ve never been to Maine, but hear it’s beautiful! We really want to visit one day! How beautiful is that?! That looks like a blast!!! Oh my goodness, that light house is to die for! I used to live in Maine and have been to York. Gorgeous photos of your family!! Thanks for sharing–I have so many great memories of the Maine coast! I used to nanny for the family that lived in that huge house. They were a very sweet, kind, and down to earth family. The house has an elevator in it, huge aquarium, and a huge library. I love Maine and hope to live there again.